What is your method of preparing black tea? How long do you infuse tea leaves? Of course, it depends on the leaves. Maybe around 1-3 minutes or so. 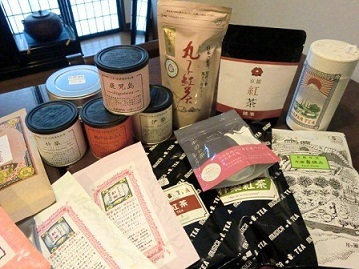 Then, how about Wakocha (Japanese black tea)? You will be surprised to hear what I do for Wakocha. Believe or not, I often steep it for 20 minutes or more. Of course, I sometime wait “only” for five minutes, but I prefer longer-steeped Wakocha. Usually, steeping tea that long, we won’t be able to drink it because it will be too bitter. Interestingly, for most of the Wakocha, the longer I steep it for, more umami I can taste. I don’t know why, but I assume it is because of Japanese tea tree and its soil.